I love being outdoors. Camping, fishing, hiking, berry picking, you name it and I'm there. As a child, I could roll in poison ivy and not have a reaction. But as I hit 60, and have had multiple exposures to the plant, my skin now reacts to just the smallest exposure. I'm not alone; nearly 90% of the population is allergic to poison ivy. Evidence also reveals that climate change and increased carbon dioxide levels are producing more virulent plants with larger leaves and higher levels of the compound urushiol (you-ROO-shee-all). 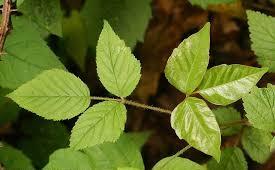 This compound is found not only in poison ivy but also poison oak and sumac. Wash your skin right away to remove the plant oil. You need to break it down so try a grease-fighting dish-soap, many people also swear by Napha Laundry Soap. If the oil is not washed off it can spread from person to person and to other areas of your body. Rubbing alcohol can also help remove the oil. Wash your clothing and everything that may have come in contact including gardening tools, golf clubs, fishing gear or pet fur. If you do develop a rash; do not scratch, as scratching can cause a secondary infection. Leave blisters alone. Only when you are certain you have removed all plant oil from your skin you can apply Pure Emu Oil. This is critical because Emu Oil is so highly penetrating it could carry urushiol into the skin and spread it systemically. However, once all plant oil is removed you will find that Emu Oil will soothe the itch quickly, speed healing and reduce scarring. I tend to wait until the next day to start using it. Apply Emu Oil several times a day as needed to reduce itching. Additionally, lukewarm baths in a colloidal oatmeal preparation or baking soda will help as well as cool showers or cold compresses. If you have a really severe case consider taking antihistamine pills. These pills can help reduce itching, however, use with caution. I've also found the homeopathic remedy Rhus Tox very helpful. It reduces the length of the rash and even seems to increase my resistance to future exposure.